Complete change to the footprint of this compact master bathroom. 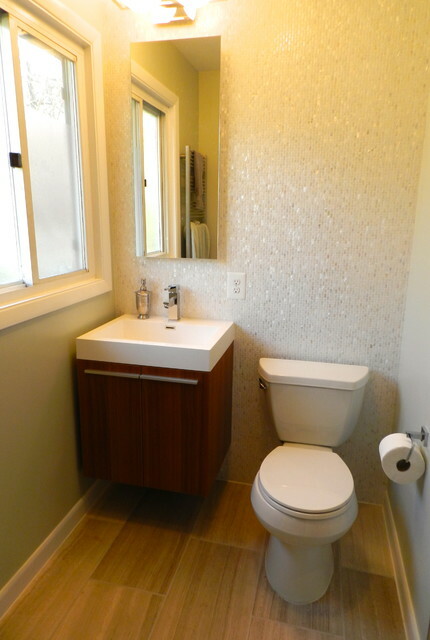 marble tile floor and shower, floor to ceiling mosaic capiz shell backsplash, floating teak vanity, polished chrome finishes, added lighting, heated floors. Love the sink and vanity! can you tell me where it is from? Thank you! Small bathroom vanity size idea? these tiny tiles are quite beautiful and add a whole other scale.